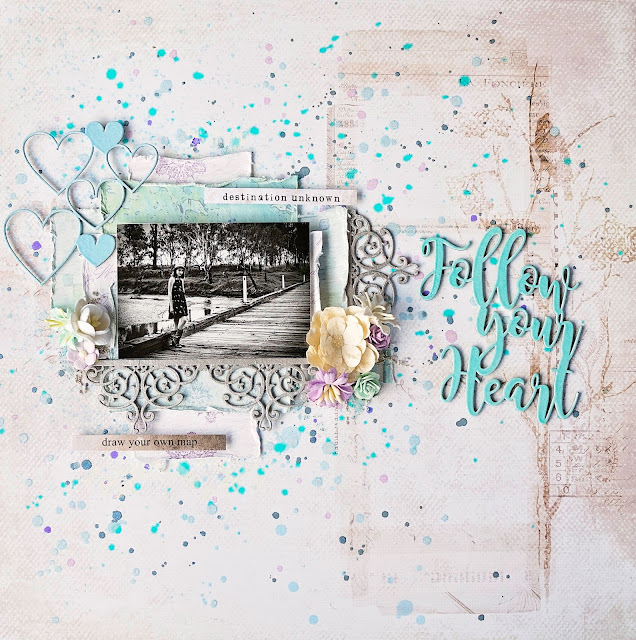 For this layout I have used the gorgeous new "Dreamscapes' Collection. This collection is so gorgeous with an earthy natural feel. My first creation is a layout titled "Dreamer"
I have used the beautiful "Under the Covers" 12 x 12 paper for my base. This paper works perfectly with my photo. I have then used pieces of the "Dreamscapes 6 x 6 Paper Pad" that I have distressed, to add layers with some of the tags from the "Dreamscapes Tags 12 x 12". To add some further detail I have used some of the "Dreamscapes Die Cut Elements" and "Dreamscapes Element Stickers" throughout my page. Finally I have used some of the "Dreamscapes Word Stickers" that I have raised for some added dimension. 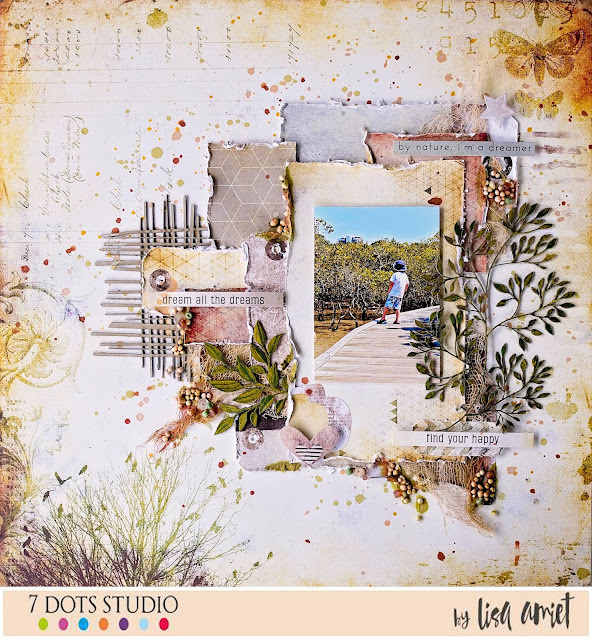 To finish I have used some gorgeous 2Crafty Chipboard to my page. It's time for some more fun and games! 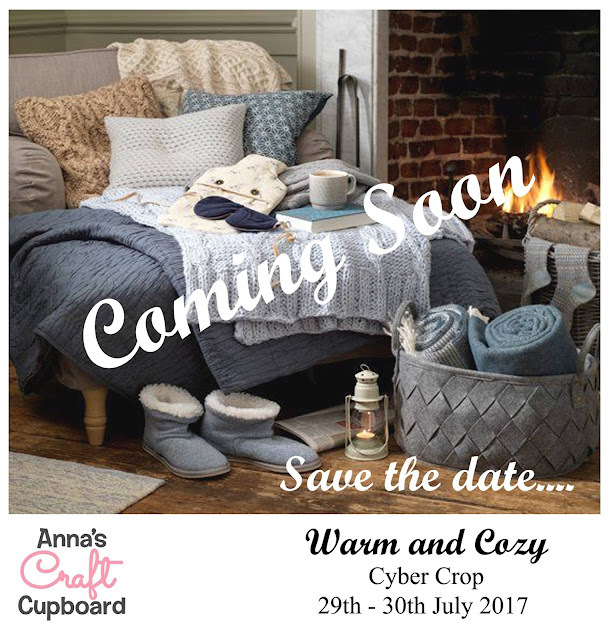 There will be lots of fun.... some silliness, challenges and chances of prizes! I have scrapped a photo of myself. I'm usually behind the camera. I have used Prima's Rose Quartz collection for this layout. I have used one of the "ATC Elements 1" that I have painted in pale pink metallic paint. It is clustered with a feather and some flowers. I have also used the "My happy place" title piece. Which has also been painted in pink metallic paint. I have used one of the "Leafy Shrub Set 1" which is finished in metallique wax in old silver. I have clustered this with some gorgeous flowers and a little teeny tiny bottle! I love the shimmer that these pieces have when finished. Lastly I have used one of the "Corner Gemma's" tucked into the top of my page. I have also finished this in metallique wax. I have a process video that you can watch below. I have used a mix of papers from 49&Market and FabScraps. There is lots of colour bloom splattering. I have used the "Parisian Border"from 2Crafty Chipboard. that I have cut into pieces to edge my photo. I have finished this in Finnabair's Metallique Wax in Old Silver. I have also used one of the "Hearts Clumps" that I have embossed in pale blue. There are some 7Dots Studio word stickers. A close up of the border and cluster of flowers. Lastly I have used a "Follow your Heart" title. I have embossed this in aqua. I love this font! It has to be my new fave! I will be back soon with some more to share with you.